Our product range includes a wide range of printing and publishing knives. Our rich industrial experience supports us in offering a wide range of Publishing Knives. The offered publishing knives are suitable for all types of paper, cardboard & foils. 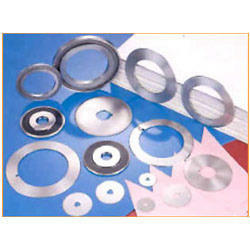 These publishing knives are widely demanded in various industries for its fine finish and uniform cutting edge. Provided publishing knives are manufactured by utilizing best quality metal and the latest technology in adherence with industry norms.